Last month, we had enumerated eight potential commercial applications of the one-atom thick carbon allotrope – graphene. Well, this time around, University of Manchester researchers have collaborated with Graphene Lighting PLC to showcase an actual application of graphene – the world’s very first graphene light bulb. Envisioned to have greater efficiency than regular LED bulbs, the contraption might even be cheaper and environmentally friendly than its lighting ‘peers’. And, the best part about this breakthrough pertains to the big chance that such a graphene light bulb might make its commercial debut within a matter of months. Now interestingly, in terms of practicality, graphene has never been manufactured in a mass commercial scale. However, this predicament can be traversed by the light bulbs in question – given the contraptions require very low quantities of the allotrope, which can make the commercial process feasible. But other specific details of the projects are still kept under wraps. 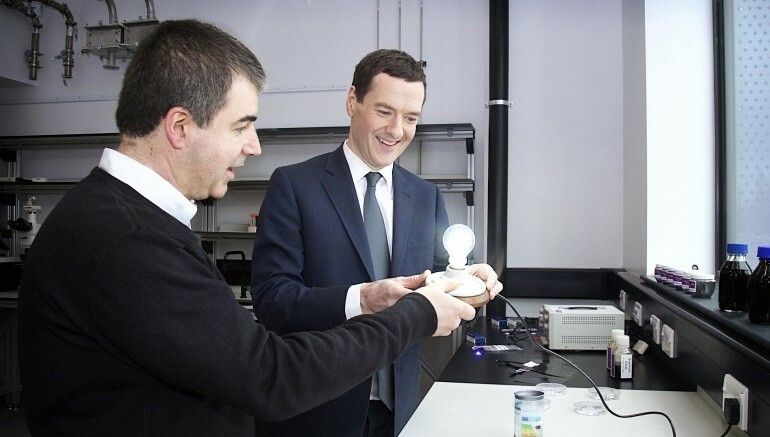 So, until the end of this year (probably), we might have to keep our fingers crossed for a retail version of the graphene light bulb.